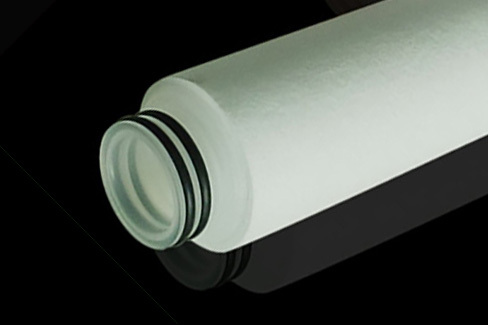 The FiberFlow QA, Absolute Spunbonded Filter Cartridge has due to the advanced technology used on the manufacturing process the ideal combination of multi layer depth filtration as well as absolute filtration exceeding Beta 1000 (99.9% removal). The high strength construction is designed and manufactured for the Oilfield service requirements. All components are thermally fused, allowing operations at higher temperature, pressure and this makes the cartridge compatible with most fluids and additives in the industry. We also provide a nominal spunbonded cartridge, the FiberFlow QN. Multi layers of fine spunbonded PP, precision matrix provide both depth and high performance separation. Large volume of contaminant volume absorption through the multiple separation layers. Brought range of contamination particle size separation ability without plugging. Full Thermal Bonded technology and 100% Polypropylene material providing chemical compability for most fluids, solvents and chemicals. Minimum pressure drop in medium and course size rating. All components of the spunbonded cartridge are thermally fused. This allows operations at higher temperature, pressure and makes the cartridge chemical compatible with most fluids and additives in the industry. The spunbonded filter cartridge of Dutch Filtration is available in different outside diameters from 50-114mm.